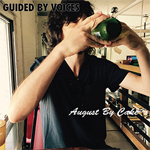 Original Release Info: Guided By Voices' August By Cake is the one hundredth studio album that Robert Pollard has released since 1986's Forever Since Breakfast. To put that in perspective, Bob Dylan has released roughly thirty nine studio albums since 1959. And that includes the Traveling Wilburys. This is a highly anticipated record, which includes the new line-up (returning GBV veterans Doug Gillard and Kevin March, virgins Bobby Bare Jr and Mark Shue) that has been wowing audience in clubs and festivals throughout 2016. It's the most musically adept and versatile line-up Pollard has ever assembled. With thirty two songs, this album is also GBV's first ever double album, and song contributions from all five band members is additional icing on the cake, setting album #100 apart from the previous ninetynine. Band Member Bobby Bare Jr.